Shiny Highly Polished Metal Engine Hood Support Bar. 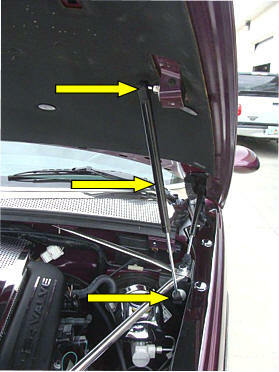 All Prowler owners are aware of the fact that your factory hood gas lift arms are not always reliable. 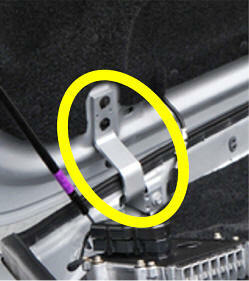 When working on your engine under the hood this prop support bar ensures a safe stable lifted hood. Great for when you have to keep the hood up for extended periods during repairs or auto shows. Requires no modifications to your Prowler. Fits in existing holes. Will never rust or stain and will always keep it's shiny luster! "Your Hood won't be sagging ever again!" 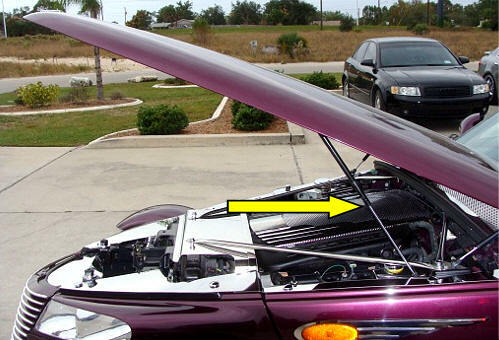 Every Prowler owner knows about having your hood constantly falling down. The factory lift arms are just way too small for the large prowler hood. You replace the arms and they wear out in months. Here is the solution. Our new super heavy duty lift arm kit. 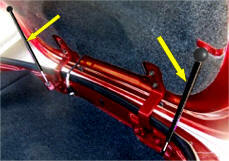 It comes with one large strong lift arm and specially custom designed top and bottom mounting brackets. It is easy to install or even remove. This kit uses factory brackets and requires drilling one small hole in a factory bracket just under the hood in the engine compartment. This is where the bottom end of the lift arm connects. You can mount the strong arm and keep your factory small lift arms. The strong arm does not interfere with them. In fact, it will preserve the life of your factory lift arms. Or you can remove your lift arms and only have the strong arm it is your choice. Either way you hood won't be sagging any more! 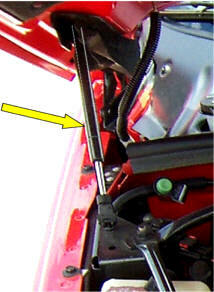 You'll never replace a hood lift arm again! 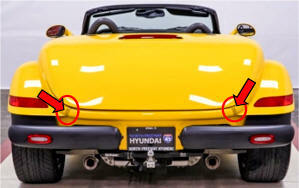 Every Prowler owner knows that the stock lift arms that come with the Prowler when new or ordered from Chrysler as replacement parts do not hold up very long. 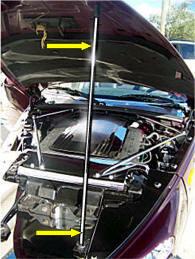 We are providing aftermarket Strong Hood Lifts that will lift your hood and hold it there. Will last longer than the original arms. Easy to mount. Will easily replace your existing arms. Two (2) Lift-arms, one for each side of the hood. 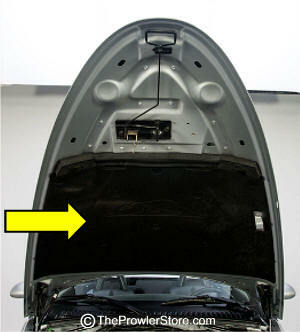 We are providing aftermarket Strong trunk Lifts that will lift your trunk lid and hold it there. 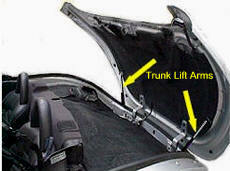 Two (2) Lift-arms, one for each side of the Trunk lid. 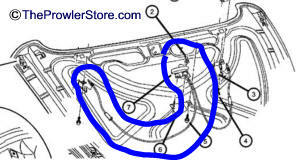 Every Prowler owner knows that the stock lift arms that come with the Prowler or its trailer when new or ordered from Chrysler as replacement parts do not hold up very long. Brand new factory original Trunk liner. 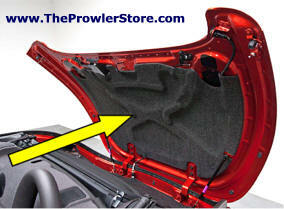 Prowlers from 97-00 had a cloth liner taped to the underside of the trunk lid. Not only does it look terrible it often drooped down too heavy for the tape to hold it in place. 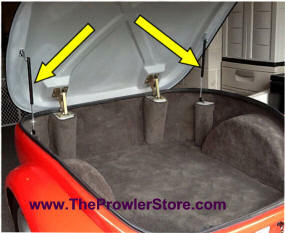 Prowlers from 01-02 had a molded trunk liner. It looks more finished and stays perfectly in shape and in place. The best part is that it fits all years of the Prowler. Brand new factory original Trunk Carpet. 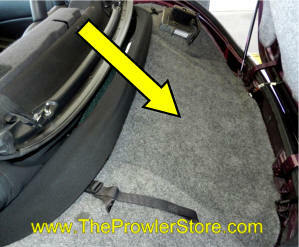 For Prowlers from 97-02 complete trunk carpet. Does not include top trunk liner see above part. 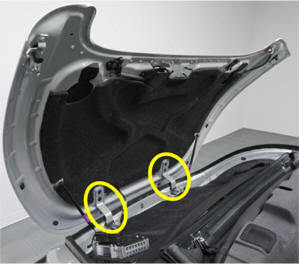 Brand new factory original Trunk Rear Quarter & Rear Valance Panel Filler. Choose Paint color. Each one fits either side. Candy Red no longer available. 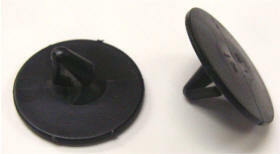 These are the factory push pins that hold up the insulation under the hood for Prowlers. A total of 13 pins are required. Original Factory Hood Silencer. Fits on the underside of the hood. Push Pins needed for mounting see item above. One original factory hinge for the trunk. Right and left side are the same part. They no longer come painted in the color of your cars body. Factory Trunk latch opening mechanism assembly.